Mad Dog? Isn't that booze? Mad Dog Multimedia hasn't been around long, but they've pretty much taken over the shelves of your local CompUSA. With the experience of long time peripheral guru Mike Dendo at the helm, Mad Dog is capable of making a strong presence. Now they're adding modular power supplies to their repertoire. 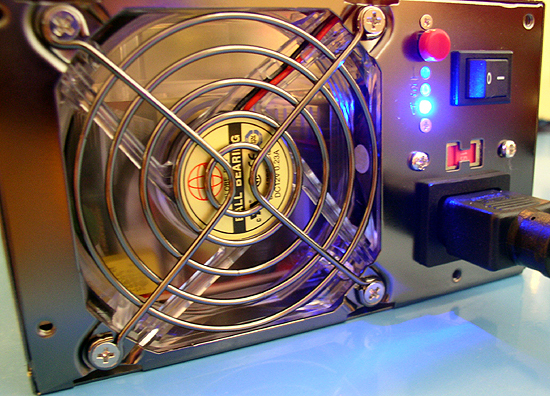 The Mad Dog features all ball-bearing fans, and although the fans are thermostatically controlled, one can set the initial fan speed with a push button mounted to the back of the case.